Its a good idea to watch a Ghost Shrimp video. Because they are so small their behavior and habits are often missed by the human eye. This is an interesting video of a Ghost Shrimp eating. One of the benefits of keeping Ghost Shrimp is that they are industrious feeders. They continuously move about the tank searching for little bits of food. 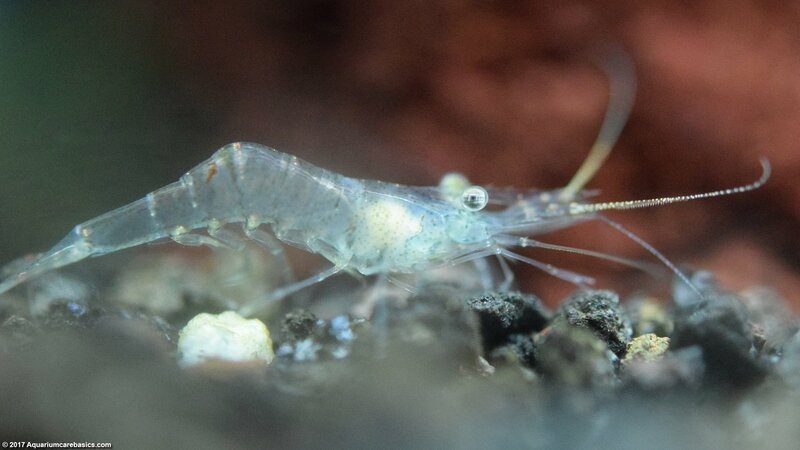 Ghost Shrimp are great scavengers and proficient tank cleaners, and can always be counted on to devour the leftovers. 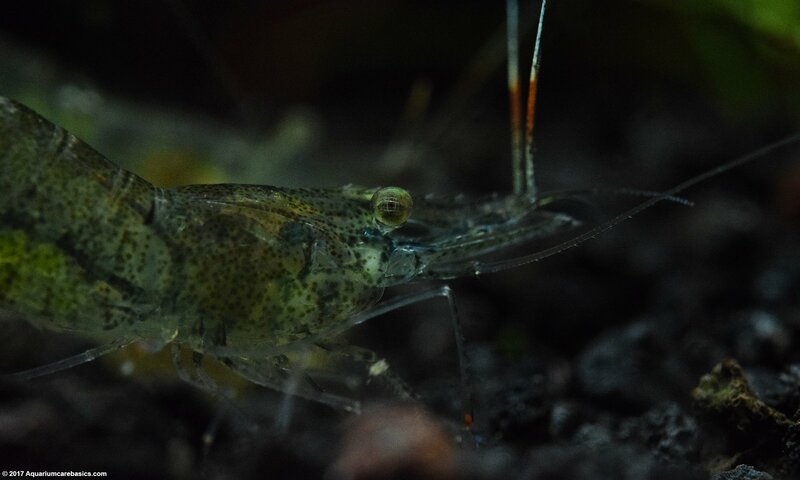 One advantage that Ghost Shrimp have is that they are very small and can operate low to the gravel or substrate. They are literally right on top of the action food-wise. Their front arms are always very busy picking thought the substrate. It’s amazing to see just how quickly and accurately their little arms move. Observing a Ghost Shrimp eating reveals that they have little tweezers on their front legs. They use these tweezers to grab the food. They also use these little tweezers to pick up and move pieces of substrate around. Their front legs appear very nimble as they can actually flip and turn little stones around without dropping them. They seem to be able to control the position of little stones well. 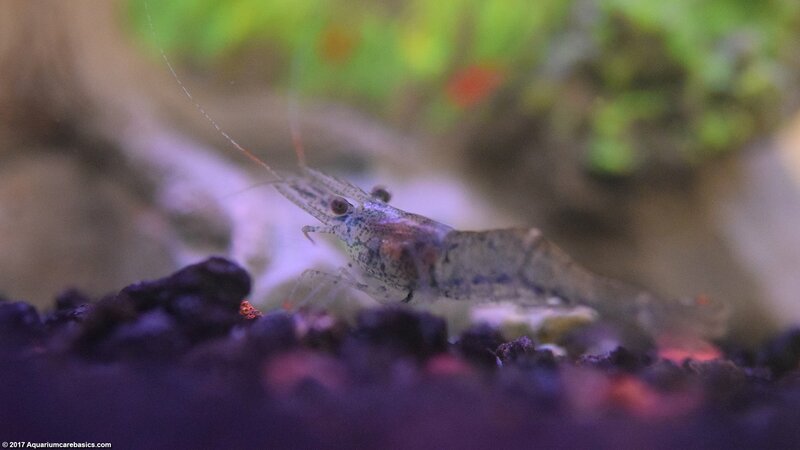 Occasionally, a Ghost Shrimp may be lucky enough to get first dibs on a pellet or algae wafer and feast on it in peace. That is until a larger inhabitant, like an Amano Shrimp, comes up and scares the Ghost Shrimp away. There is a definite pecking order in the feeding hierarchy between aquarium shrimp. But even after the Ghost Shrimp distances itself from the food, it still feeds on the bits of food floating away from the Amano Shrimp.